How many deadly snakes does Australia have? | What can I learn today? How many deadly snakes does Australia have? Walking down the stairs at work after my colleagues (and daylight) had disappeared for the day, my mind was consumed with thoughts of dinner. Would I cook or would I buy in? Would I have meat or would I have seafood? Would I have room for dessert? You know, the big questions of our time. Suddenly, as I hit the third bottom step, I spotted something out of the corner of my eye – an oval head and a forked tongue. Snake! It was a snake! And my body reacted accordingly, sending me back up those steps faster than Usain Bolt. Fortunately, the animal didn’t follow. But it did leave me with a slight pickle. There was only one exit and the snake was in the way. Seemed like it was going to be a long night, but eventually it slithered away and I was free to go. Naturally, my first use of this freedom was to post the incident on Facebook, if only to reinforce for my American friends that Australia really is teeming with deadly creatures. But it did make me wonder if we deserved this reputation, especially when it came to snakes. I headed to the Australian Venom Research Unit to find out. And the answer, in a nutshell, is yes. 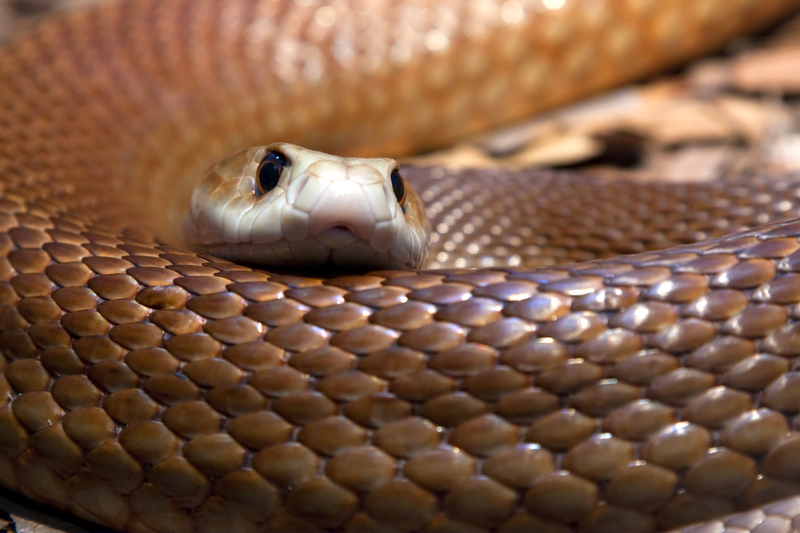 Now, I would have guessed we would have three or four of the world’s most venomous snakes, but the real figure is 11. That’s right, 11. And when you count out to the top 25, we can account for 20 entries. Scary stuff, and that’s before you even look at the fatality factor. While I don’t want to get into the science of it, venom danger is measured by something called LD50. And basically, the lower this number, the less venom is needed to cause death. So when you see our inland taipan returning a figure of 0.025 you can understand why it’s best left alone. Here is the complete top 25. Strangely enough, there’s no sign of the trouser snake, which some women would argue is the most dangerous of them all. BTW according to the unit’s figures more people were killed by bees between 1979 and 1998 than spiders, marine creatures or ticks. Now why haven’t we seen that reflected in a horror movie?? ← What animals are in the Chinese zodiac?